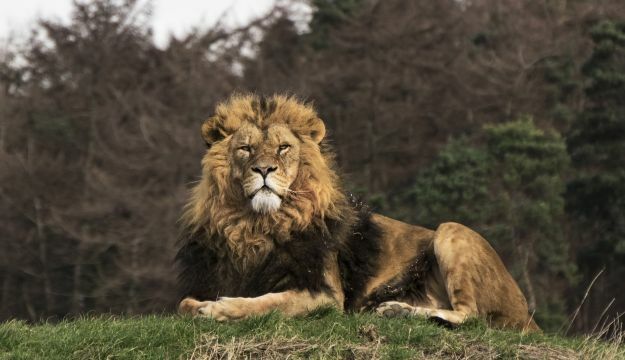 Award-winning Yorkshire Wildlife Park has unveiled plans for an exciting year as its amazing animal kingdom expands and the attractions keep coming through 2015. The 70-acre walkthrough park will welcome Giant Otters and two more Polar Bears to join Victor, who has been thrilling visitors since his arrival last summer. The new arrivals will enhance the Park’s position as a leading force in the conservation of endangered species as well as providing an absorbing and fun day out for all the family. Visitors will also enjoy the Safari Village shopping centre and café, which can be accessed without having to enter the park. There are an enviable array of outlets includes Etc Etc Etc, the admired jewellery, furniture and accessories store based in the village of Bawtry. It is the perfect stop-off for range of stylish goods including Emma Bridgewater pottery and Limited 2 Art displays work from some of the finest painters and most collectible artists including Kerry Darlington, Peter Smith and amazing bronze sculptures by Frogman. The Chocolate Box, also in the Village, is where sweet-toothed visitors can enjoy an Aladdin’s cave of sweets and chocolates. YWP keeps growing and the popular Wallaby Walkabout has been an expanded and refurbished with an extended walkway to make it even easier to get close to nature. Events run throughout the year with Ranger talks, education programmes for schools, an Easter Egg trail and the unmissable Safari Nights with bangless firework displays, dinner and dance with pop groups and singers. Cheryl Williams, director of YWP, at Branton, near Doncaster. “We are always looking at ways to improve the YWP experience for visitors and 2015 is going to be an exciting year. “Shoppers can even enjoy the Safari Village without paying to enter the park, making it the perfect stopover for coaches on the way to or back from holiday destinations like the Dales. Victor will be joined by two new friends at the state of the art 10-acre Project Polar, which is divided into four sections, featuring landscaped hills, valleys, deep pools and waterfalls. The 480-kilo 13 year-old has been a huge hit with visitors. YWP is also introducing Giant Otters, which have become endangered by poaching for their velvety pelt and habitat degradation in their native South America, which has reduced numbers to fewer than 5,000. They are the only carnivorous mammals to be monogamous and are highly inquisitive and playful animals. The most recent additions to the park are the Armadillos, although they are not endangered YWP are involved in protecting their habitat in South America. 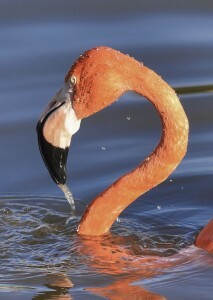 These little amoured creatures can run fast and are very good at swimming, staying under water for up to 6 minutes. YWP has a unique animal collection, showcasing some of the world’s most endangered species including Amur Tigers and Leopards, and Painted Hunting Dogs along with Lions, Giraffes, Baboons, Lemurs and Meerkats. The innovative park specializes in bringing visitors as close as possible to the animals with walkways and viewing platforms providing a unique window on a wonderful world. Whatever the weather there is something to do at YWP. The weatherproof 600 sq m Monkey Play barn is the perfect place to warm up or stay out of the sun in the 120-seater eatery. Adults can relax whilst the children enjoy three levels of play equipment, including climbing frames, dens, slides and rope bridges in full view of the baboon reserve through the glass walls. Next door to the Playbarn is the new Zoom Super Slide Barn, which has an Astra slide and two drop slides perfect for having some indoor fun (height restrictions apply). Group discounts available, please check the website for full details.